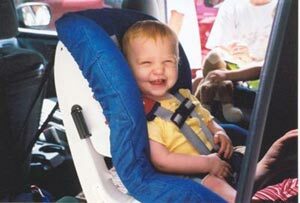 Emily, rear-facing in Britax Marathon. Emily is 1 year, 7 months old, weighs 26 lbs and is 32 inches tall. 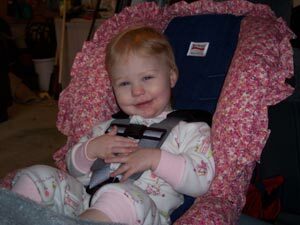 Emily rear-facing in the Britax Marathon at 1 year, 20 lbs, 31 inches tall. 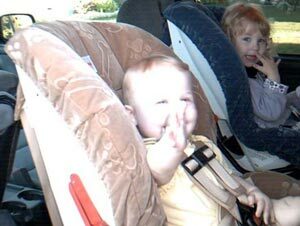 Emily's sister Abigail is also rear-facing past 1 year/20 lbs.